Children line up in the hallway of a recently opened Bridge school in TK Plantation, a rural community outside of Monrovia. September 23, 2016. TK Plantation, Monrovia, Liberia. Children attend class in a recently opened and overcrowded Bridge school in inner city Monrovia. September 23, 2016. Monrovia, Liberia. 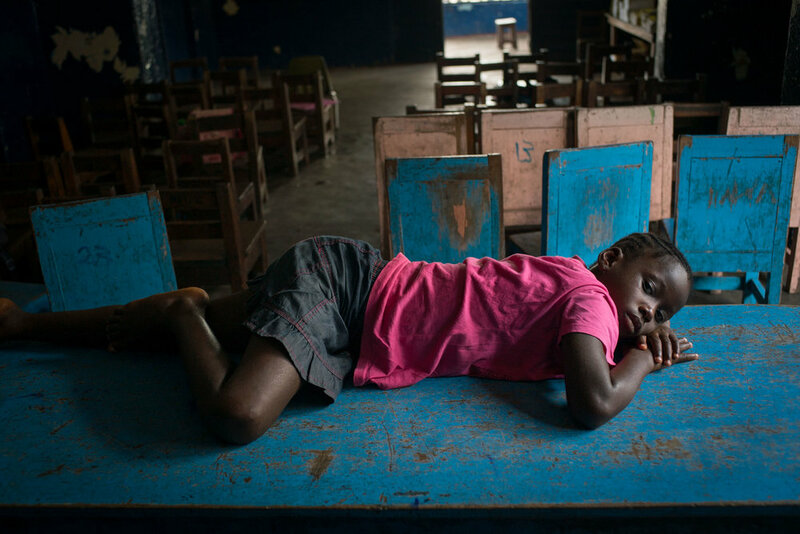 A youg girl suffering from malaria lies on a table after the classroom empties out at a Bridge school. One of the challenges to education in the developing world is that children come to school sick, so good schools usually supply medical referrals or care. September 23, 2016. Monrovia, Liberia. A teacher walks past children at a school (not Bridge) in Mathare slum area of Nairobi. September 19, 2016. Mathare slum, Nairobi, Kenya. Mathare slum in Nairobi, Kenya. September 19, 2016. 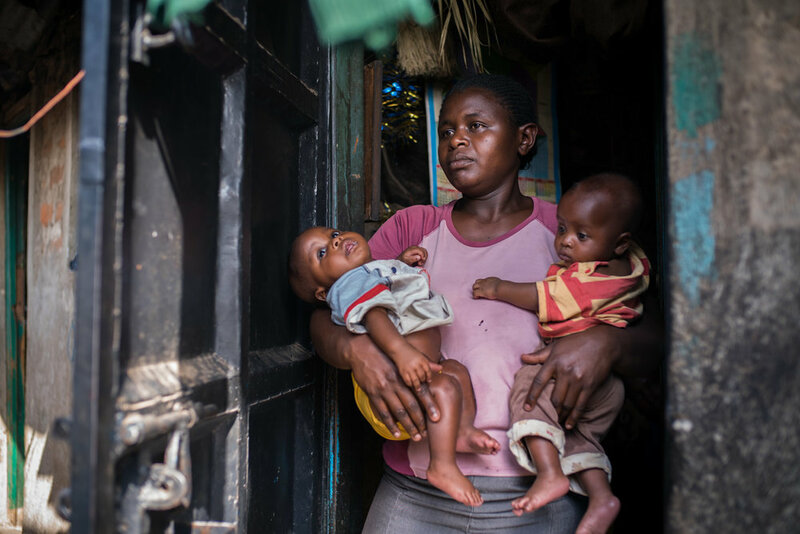 Dahira Isaack and her husband regularly cannot raise enough money to pay school fees for their five children. Her two daugheters, aged 8 and 10, who enrolled at Bridge are therefore often sent home from school and have fallen behind on their schoolwork. She worries that if they do not perform well enough to get into secondary school, they will be forced into a traditional early marriage, a common practice in her largely Islamic neighborhood in Mukuru slum. Dahira herself was married at 15 and has been pregnant nearly every year since. September 20, 2016. Mukuru slum, Nairobi, Kenya. 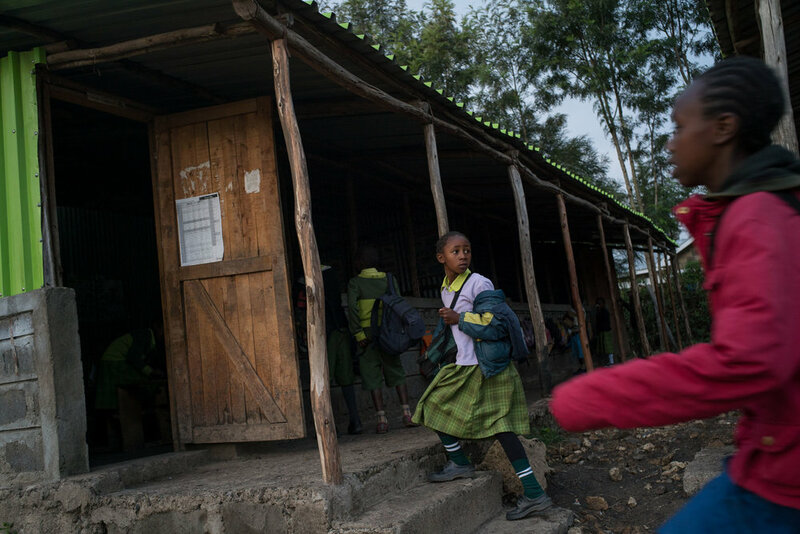 Students arrive to school and prepare for start of class at a Bridge school in Nairobi. September 20, 2016. Nairobi, Kenya. 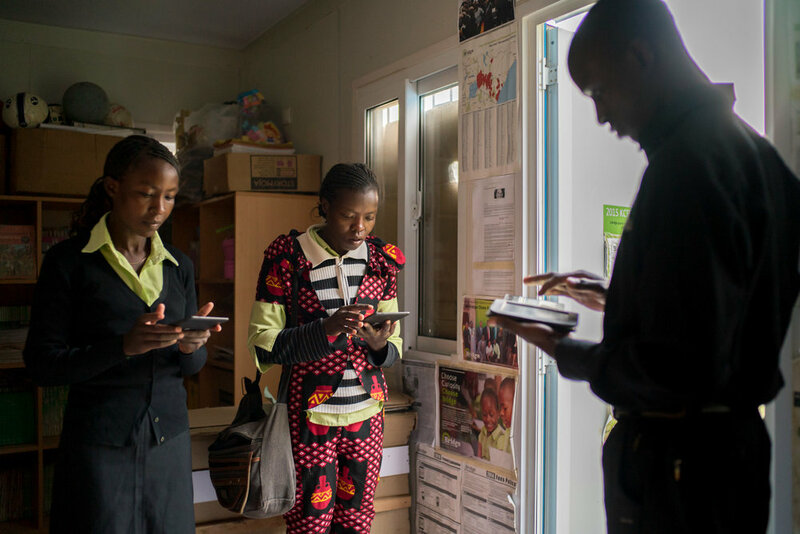 At the start of the schoolday, teachers receive their lesson plans for the day on their Nooks, at Kiserian Bridge school in Nairobi. September 20, 2016. Kiserian, Nairobi, Kenya. 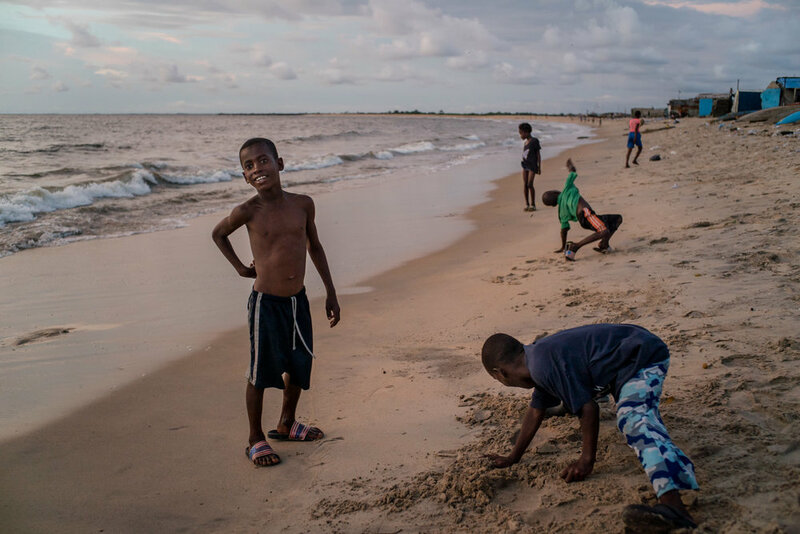 Children in daily life in Westpoint slum area of Monrovia, Liberia, once the epicenter of ebola crisis. September 25, 2016. Monrovia, Liberia. 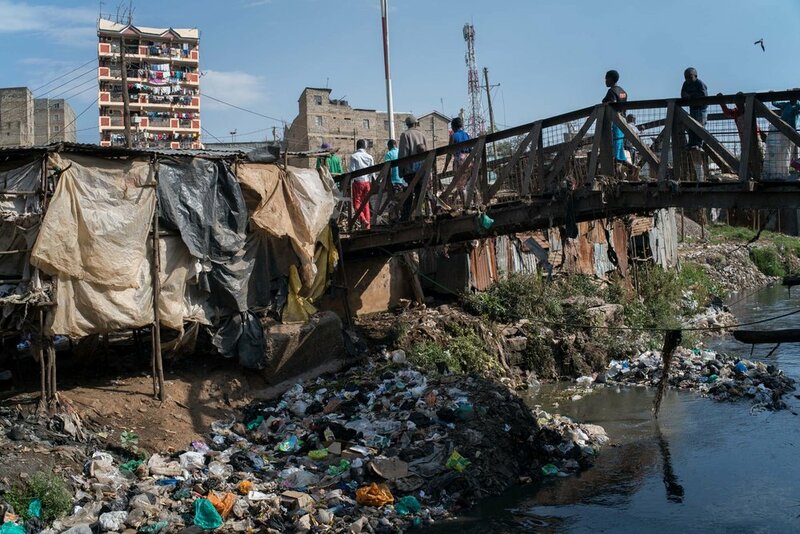 Mathare slum area of Nairobi. September 19, 2016. Nairobi, Kenya. Westpoint slum, Monrovia, Liberia. Sept 25, 2016. Shannon May, founder of Bridge International Academies, at one of her schools in TK Plantation, a rural community outside of Monrovia, Liberia. September 26, 2016. TK Plantation, Liberia. Students with small stones in the yard of a Bridge school in Mukuru slum. September 20, 2016. Mukuru, Nairobi, Kenya. Elizabeth Mumo prepares her sons Samuel, 6, and Joshua, 12, for another schoolday at Bridge. She and her husband save to pay school fees for her two sons to attend Bridge, believing that since the school is run by white westerners, her children are getting the same kind of education as the children of expats and diplomats-- an international education that she hopes may one day land her children at Oxford University. September 20, 2016. Nairobi, Kenya. 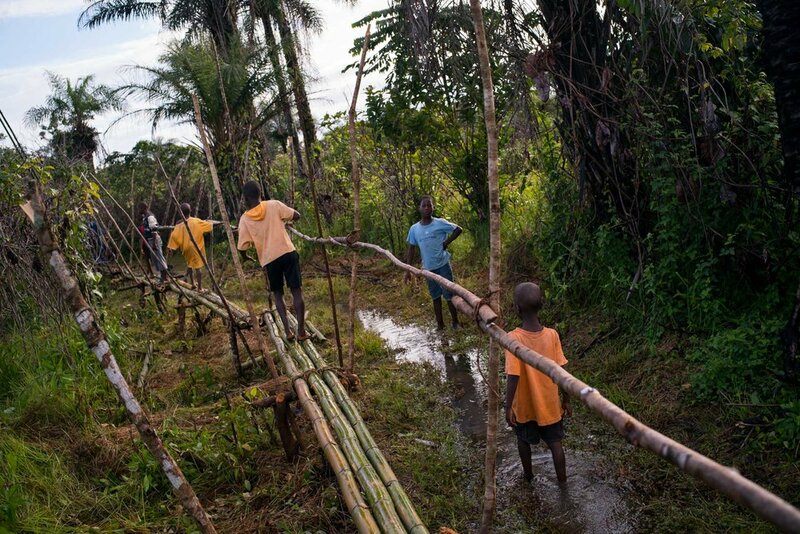 Children walk across a newly built bamboo bridge in order to cross a swamp area that stands between them and their school in Bogbeh village. It took four years for the villagers to gather the funds mecessary to build this bridge, roughly $160. By using the bridge the walk to school for children from teh next village is cut down from 1 1/2 hours to 1/2 hour. September 24, 2016. Bogbeh village, Bomi county, Liberia. Children at a school (not Bridge) in Mathare slum area of Nairobi. September 19, 2016. Mathare slum, Nairobi, Kenya.